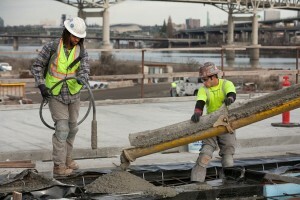 Workers pour concrete on the western approach to the new bridge for the Portland-Milwaukie Light Rail Transit Project. 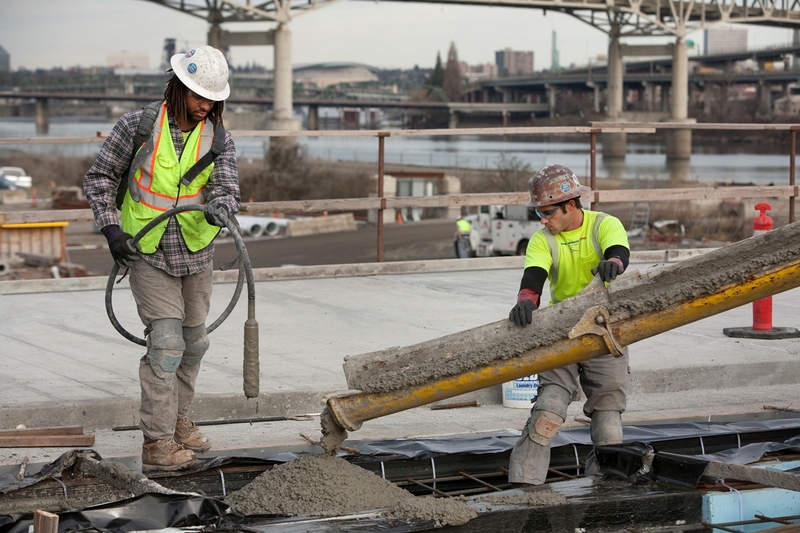 Indirect jobs include positions at suppliers of materials for the project, such as steel, concrete, wood, and more. Induced jobs are jobs created by the spending of project salaries for items such as groceries, gas, entertainment, etc.